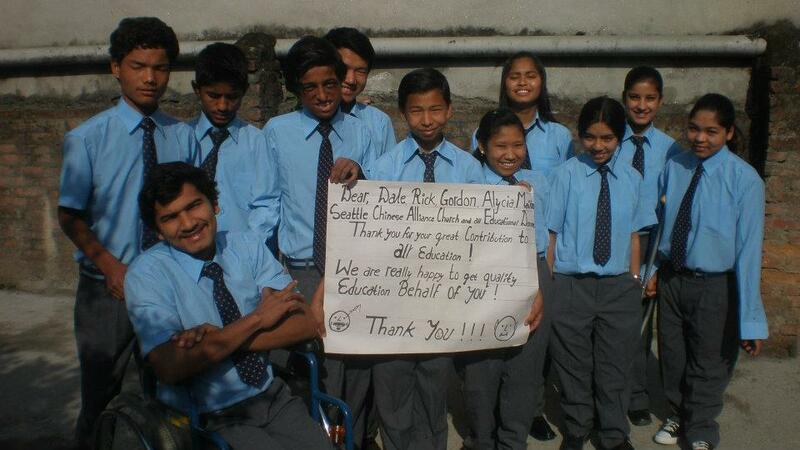 Jackie's Nepal Blog and Other Wanderings: We've reached our goal!! I am happy to report that we have reached our fundraising goal to help fund school tuition and expenses for the kids at DHC New Life Center just in time for the new school year! DHC New Life Center is a home for disabled and disadvantaged children in Nepal that we've been working with over the last year and have been featured in many of my blog posts. I have had the honor of volunteering with most these children back in 2006 when they were at another home. Thank-you to all of you who donated so generously via TRIFC and our partner, Jolkona, to help these wonderful teens!! Oh, and did I tell you, all of the kids this past school year scored above 80% in their final examinations and the top 4 in the class were from DHC New Life! Isn't that just wonderful? !